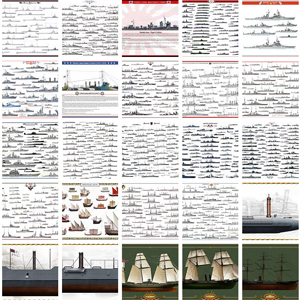 Last prewar Germans battle cruisers (on the drawing board, they were completed after the war broke up), they are considered among the best. For the first time, a flush deck was preferred to the three bridges system used by Seydlitz. Their prismatic shape was accentuated, and they had good maneuverability. 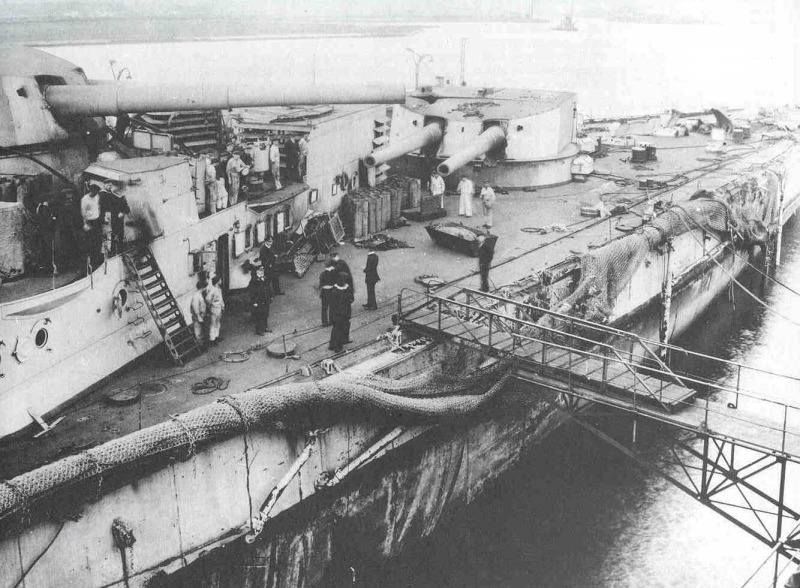 Their protection was also excellent and they “digested” heavy shells with surprising strength: It took no less than 24 hits to destroy Lützow at Jutland. 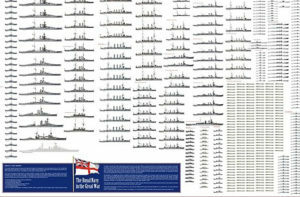 For the first time these ships were given height 305 mm guns, which at the time still feeble compared to the caliber adopted by Royal Navy equivalents. Therefore, these were still were out-ranged in addition to be out-gunned. Central battery was a bit low and prone to spray, and their protection and compartmentalization under the waterline was not excellent. 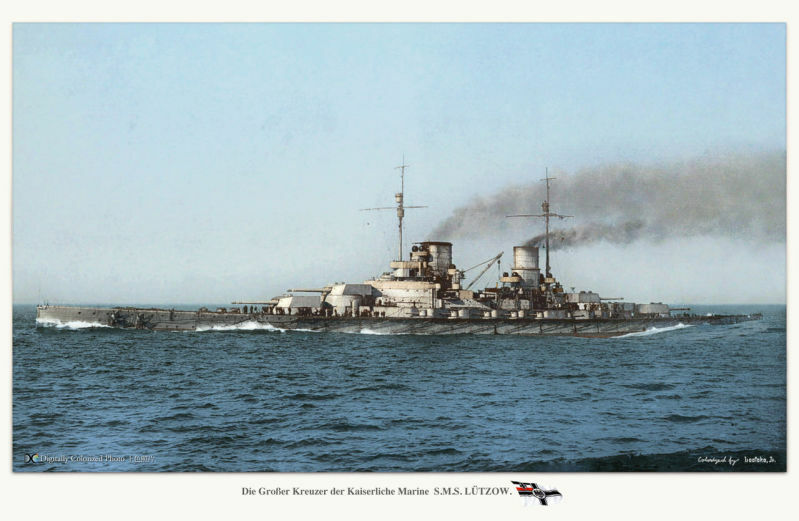 Both battlecruisers were launched at Hamburg (Blohm & Voss) and Danzig (Schichau) respectively, accepted into service in November 1914, and March 1916. 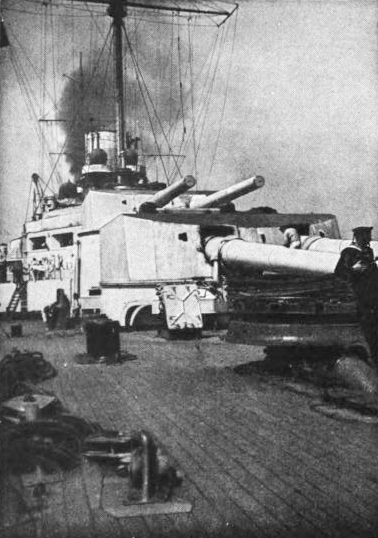 The Hindenburg was distinguished by an increased length for better hydrodynamics, sturdy tripod mast supporting an imposing fire control but the same armament as the previous Lützow (600 mm TT, 14 x 150mm instead of 12), however it received the new SKL 305/55 designed in the fall 1913 which had a better range. Much more powerful she was a knot faster. 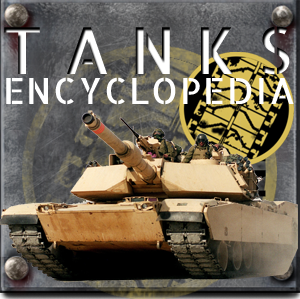 The ammunition loading system was also revised and more efficient. Like other ships in the German navy, she walked with a mixed coal-oil heater. The Derfflinger began its tests in March 1915 but underwent teething turbine problems. They managed to achieve 26.4 knots in trials. 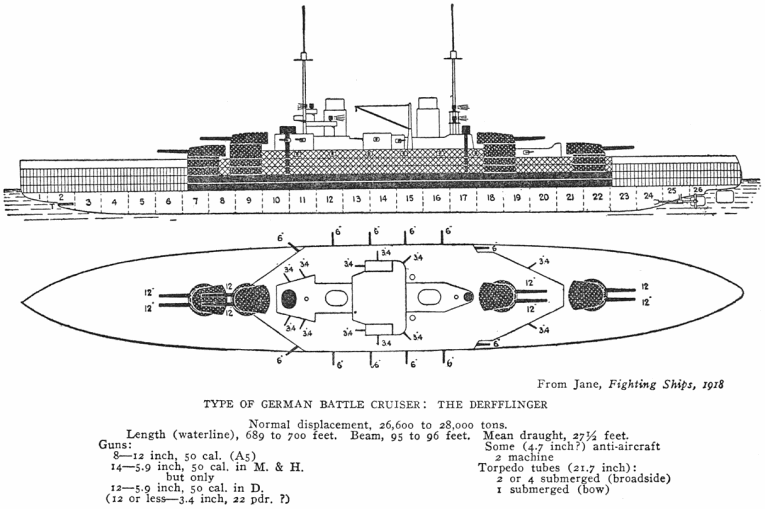 The Derfflinger fought at the Dogger Bank, conceding three hits, but at Jutland it was another matter: The Queen Mary was hit 11 times by Derfflinger, but she took herself 21 hits (particularly pounded by Revenge 381mm guns), knocking off the two rear turrets. She took 3300 tons of water, but remained stable due to its ballast, banking only only 2°. She managed to return in Kiel, was repaired, but came out only to be led to Scapa Flow, and its fate. She was salvaged and broken up in 1934. 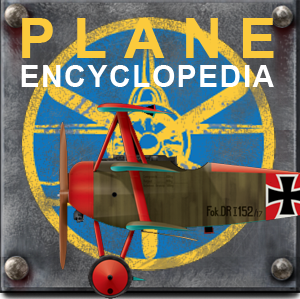 The Lützow has a short career. 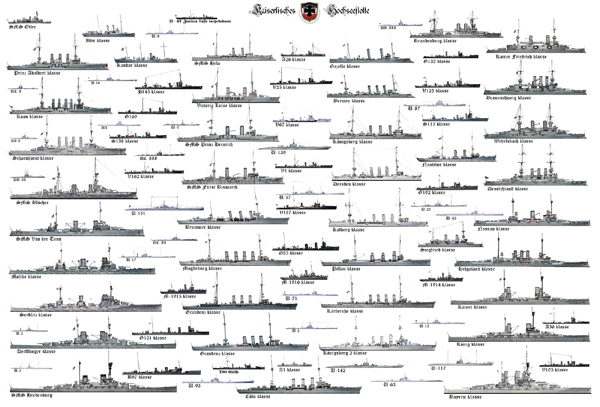 Due to the war indeed, the yard was deserted, so she was operational only two months before Jutland. She managed to send HMS Invincible to the bottom (conceding two hits herself) and badly damaged HMS Defence before succumbing to a withering fire from other ships, taking 24 impacts of large caliber. Destroyer G38 torpedoes eventually finished her off as she refused to sink. Started in June 1913 in Wilhelmshaven, the Hindenburg was launched in August 1915 and began tests in May 1917. In November, she was accepted into service. Her career thus barely spanned a year. She did a few raids in the Baltic, but remained mostly inactive until the surrender, and sailed to Scapa Flow to scuttle it in June 1919. 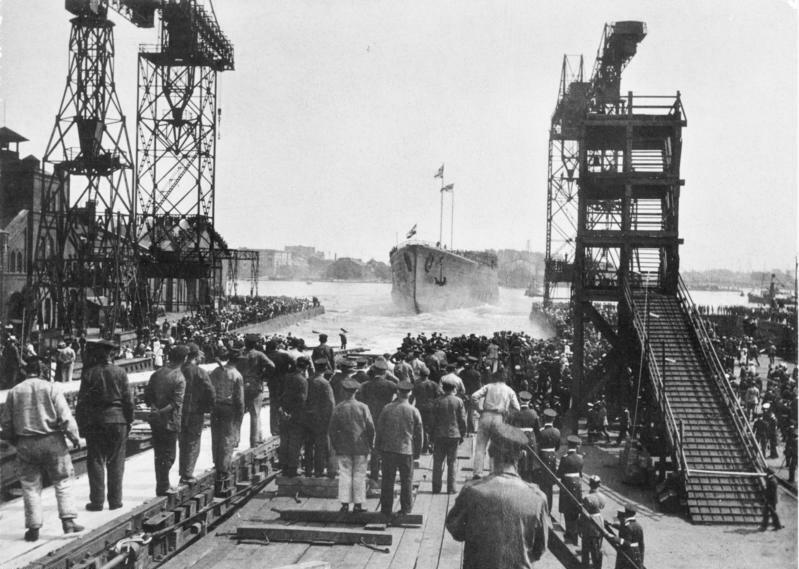 In 1930 an official Royal commission of Engineers moved to the ship for a comprehensive study. 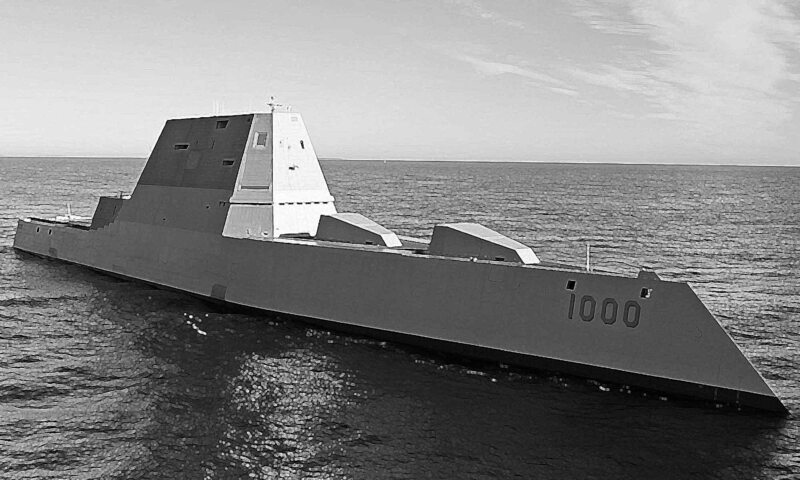 It was then realized the excellence of its protection, ammunition management systems, modern communication and advanced fire control system. The Hindenburg at Scapa Flow. 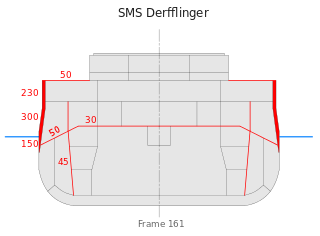 Armament 4×2 305, 14×150, 4x 88 AA, 4 TT 600mm (2 sides, bow, stern). 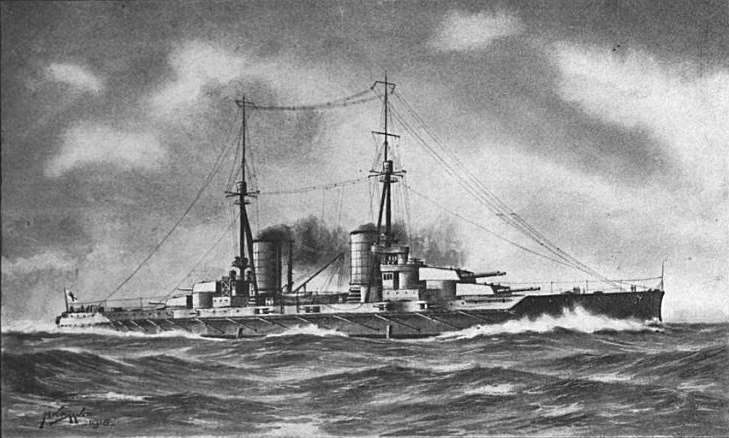 Illustration of the Lützow in May 1916.